Becky held a Family Fun Day for the second year at the Lindon Club in Grimbsy, for the Shaun Wright Foundation. 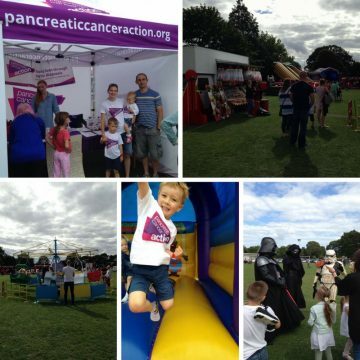 The sun shone and there was a wonderful crowd during the day creating a great atmosphere and all helping to raise a phenomenal £3684.27 for Pancreatic Cancer Action. A charity football match was played, raffles held and numerous stalls open to add to the festivities. A fun fair and bouncy castles kept the little people entertained too! Becky was delighted with how well the day went and how supportive everyone was. Thank you so much to everyone involved in making the day such a success!